When you are suffering from some health problem, but you do nothing to treat it, 5 years later, will you get better or worse? As you grow older and weaker, you health will surely deteriorate and become worse if you choose to do nothing. Do you believe the doctor can help you? If you have been suffering from the same health problem the last 5 years and it still hasn't been resolved by the doctor, do you think in the next 5 years that doctor is able to help you solve it? If you follow instructions and take at the correct dose over the required duration, you will certainly see significant improvement in your overall health. When you see doctors, the money you spend will be gone. But when you take Shuang Hor products, the money you spend can come back to you so you can eat cheaper or for free. 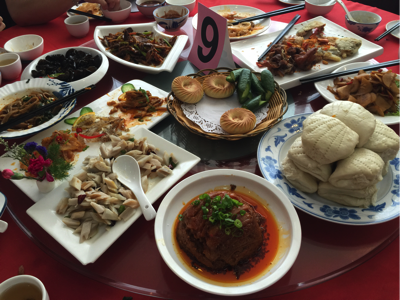 That is why I ask you to come take a look at what Shuang Hor can offer. Shuang Hor has a very powerful product that may help your children/family/friends. You don't know about Lingzhi yet. Come and find out first. What if this product can really help save people you care about? What can I do to make you believe in this product? Lingzhi / Ganoderma is a multi-functional food. It falls into the overlapping zone between Natural Food and Medicine. Which means it can be safely eaten without any side effects but has medicinal effect. It is a functional healthfood, and therefore is hard to be replaced. 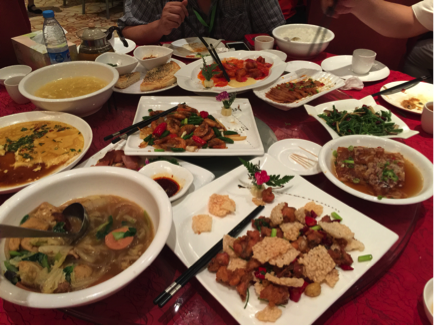 What do we mean by Toxins and why Shuang Hor products? (1) Toxins is a term we use to refer to substances our body cannot use because it is not compatible. For example, certain animal meat contains a higher percentage of non-compatible types of amino acid i.e. those that the human body cannot use. It would still remain intact in its original form even after we swallow it. As this substance is not compatible with our body, we cannot assimilate it. So the body has to eliminate it. Another example is calcium carbonate in the calcium tablets we take - the body doesn't have the enzymes or the ability to breakdown the bond. We are fortunate if our body is strong enough or has sufficient energy to eliminate this out. If not, it would stay in our soft tissues amongst our cells. This is what we call as "toxins". (2) Another meaning of toxin is components / nutrients that are compatible i.e. good for us, but some people's body is too weak to assimilate it or to break it down. Thus it cannot be used by the body. If the body lacks the ability to utilise the nutrients, it would accumulate in our body and become "toxins". The body will find a proper way to store it e.g. if we have too much sugar the body stores it as fat or try to find a way to encapsulate it so it doesn't harm the rest of our body organs. But these toxins have to be eliminated. If our body has a lot of toxins from substances our body can't use or is too weak to assimilate, the body will start to have a backlog. We will start to fall sick. We should take things that don't require our body to use a lot of energy to breakdown, absorb and utilise. Shuang Hor products fall into this category - it can revert the body naturally to good health. We are using food to help the body heal by itself - it's called natural therapy. For example, Yung Kien Pollen is readily assimilated. Our body doesn't need to work so hard to break it down - the bonds which are bonded loosely can be easily broken down. Such food have high bio-availability, meaning easy to assimilate and utilise.